Rolling along 290 after a very satisfying evening at Burwell Knebel’s old beer joint in north Travis County, I spy a tumble-down food fort listing in the Autumn breeze like a roadside shanty from an old Steinbeck novel. 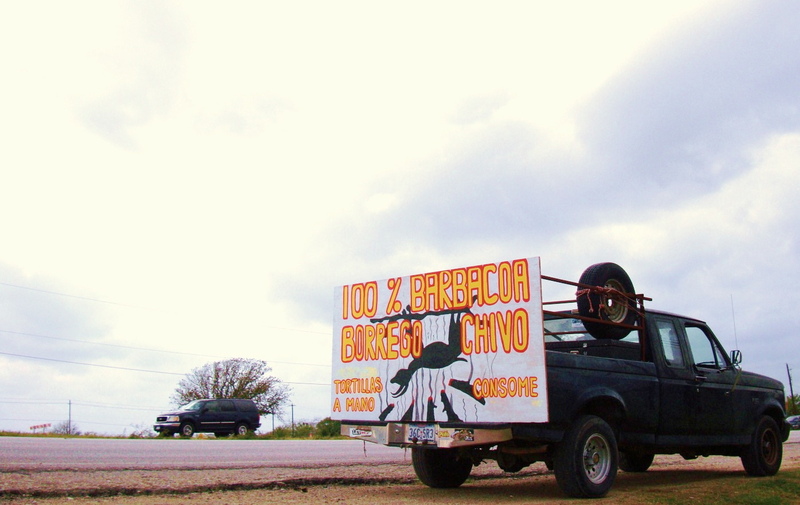 A sign emblazoned “chivo” is braced up on the back of a pickup truck and a healthy crowd of blue collar Mexican cats are queued up at the window of the tiny, goat dispensing food trailer. There is no sign on the food cart. Always a good thing. Some of my favorite restaurants and beer joints have little more than a small door with no outward markings indicating what’s going on inside. Must be the speakeasy lover in me I reckon. I sit down at a rough hewn bench and take in the scene. An old GM truck that’s been crashed is haphazardly parked off to one side, Little Joe Y La Familia is blaring off a rickety laptop [!] that’s nailed to a tree post that’s been driven into the ground. The clientele look like they just got done pouring cement, laying tile or working the graveyard shift on an assembly line. The lady at the window gestures to me so I approach. A big cauldron of goat meat is simmering on the stovetop. It’s bathed in a murky, brick red, witches brew that portends deliciousness. I ask for a taco, pay my $2 and retire to a table that looks as though it may careen to the ground at any given moment. 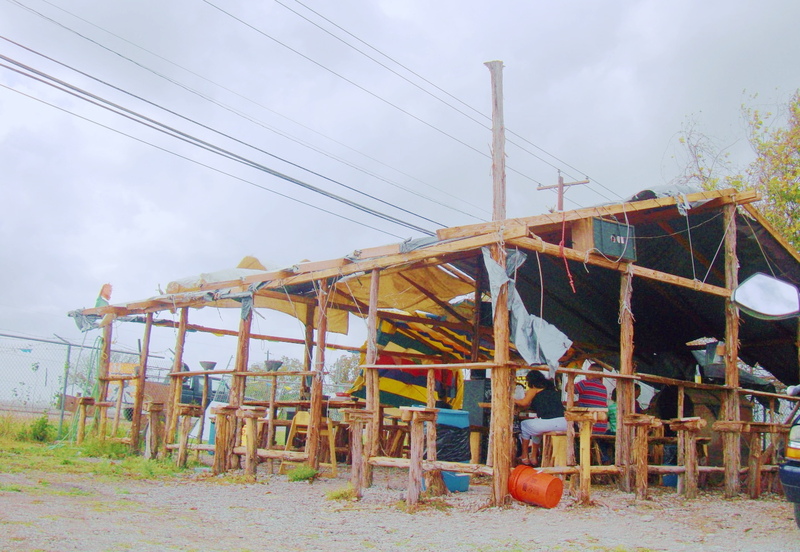 Minutes pass and a hard-living-looking man emerges from the trailer with a giant, styrofoam box, a molcajete and a big bottle of red sauce. I get excited over such things. The tortillas are doubled up and have been made moments before. They stand among the finest I’ve ever eaten. Anywhere. The goat meat is musky, soft and shredded as though it were desebrada. It is divine. The red salsa is a dragon’s blood of smoke and salt. It’s superb. When I set out to pen a seven part series on goat tacos in Austin Texas I imagined that the going could be a mite rough. If part one is any indication this is going to be one sweet ride. 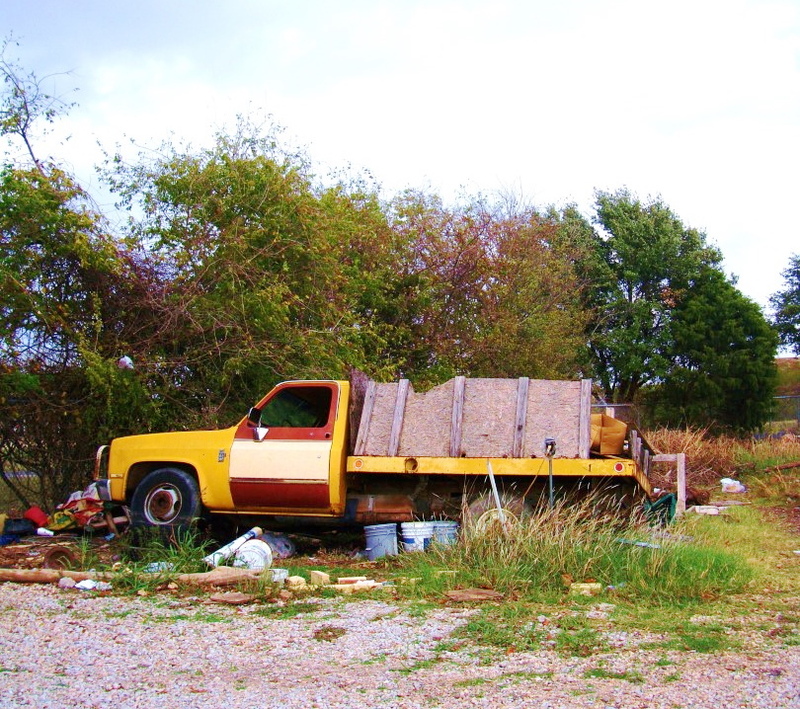 This taco stand is located on Hwy 290 E, ten minutes east of Austin next to the big Mexican flea market. They do not have a phone and were unsure of their address. The young lady tending the stove in the trailer wears a nice chef jacket. If my taco is any indication she has a very bright future in the world of Texas kitchens. This entry was posted in The State Of Goat Tacos In Austin Texas and tagged Austin, Chivo Brincado Chivo Pagado, corn tortilla, goat tacos. Bookmark the permalink.